What is "The Great Train Robbery" doing in the Santa Clarita Valley history archives? We don't have a good answer. It wasn't shot here, and nobody connected to the film lived here, at least not at the time it was made. And yet, somehow it just feels wrong not to include it. Made by Thomas Edison's film company, "The Great Train Robbery" is emblematic of the height of the New York-based film industry, before the industry moved to "Hollywood" (Los Angeles-Glendale-Pasadena-Santa Monica; Santa Clarita Valley for location shooting) in and after 1910. It's the first real Western, and as such, it features the first Western film star, Gilbert A. "Broncho Billy" Anderson (b. March 21, 1880, in Little Rock, Ark.). It paved the way for things to come — out West. 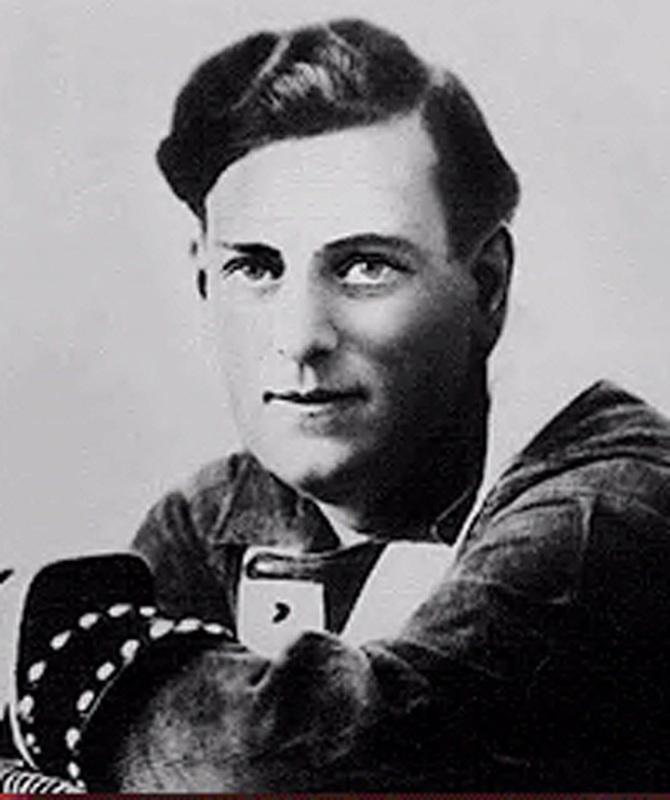 Anderson himself made the move within the decade; "Broncho Billy's Christmas Dinner" was partially shot in the Santa Clarita Valley in 1911. (Finally, a connection.) In 1907 Sullivan and George K. Spoor, a onetime box office manager for an opera house, formed the Essanay Film Manufacturing Co. in Chicago ("S" for Spoor and "A" for Anderson). As Westerns took hold and Southern California's climate proved more conducive to making them, Anderson, like other filmmakers, split his time between the coasts. By 1913, when he set up a West Coast branch of Essanay in Niles, Calif. — now part of Fremont — he had already been shooting in San Rafael and Santa Barbara and, as mentioned, Newhall. Essanay's biggest catch was Charlie Chaplin, who starred in a series of comedy shorts that were shot in Niles Canyon in 1915. Essanay ultimately heard the calling and moved to Los Angeles. In 1916, Anderson, who had appeared as Broncho Billy in hundreds of shorts, sold his interest in Essanay and returned to New York to produce theatre. He would reenter and exit the film business a number of times before his death at the Motion Picture Home in Woodland Hills, Calif., on Jan. 20, 1971, at age 88. 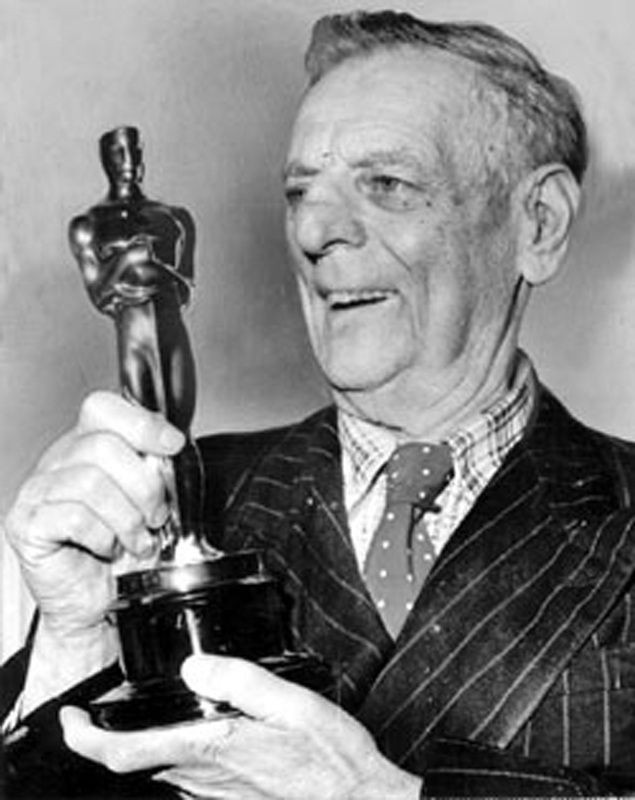 In 1958 Anderson received an Honorary Academy Award as a motion picture pioneer. His star on the Hollywood Walk of Fame is at 1651 Vine Street. In 1998 he was honored posthumously on a U.S. postage stamp. A Chicago city park near the original Essanay lot is named Broncho Billy Park. For its part, Essanay merged with Vitagraph, Lubin and Selig, and in 1925 the combined company was absorbed into Warner Bros.
Back to "The Great Train Robbery." Principal shooting was in Milltown, New Jersey, with interiors shot at the Edison studios in New York City. Weird place for a Western, huh? Ultimately they realized it. The film is approximately 10 minutes long (one reel); some versions are a little shorter (8 minutes), some a little longer (11 minutes). It was shot in November 1903 and released Dec. 1, 1903. The writer, director and editor is Edwin S. Porter of the Edison Co.; the editing techniques he used to tell the story were considered groundbreaking, and in 1990 the U.S. Library of Congress selected his film for preservation in the National Film Registry on the basis of its cultural, historical and/or aesthetic significance. The film contains no credits. The players are Anderson (who portrays three different characters), A.C. Abadie, George Barnes, Justus D. Barnes, Walter Cameron, John Manus Dougherty Sr., Donald Gallaher, Frank Hanaway, Adam Charles Hayman, Morgan Jones, Marie Murray and Mary Snow.